(c) 2015 Justin Powell. Powered by Blogger. An important key to personal success is perseverance. You will inevitably face obstacles along the road to success. Achieving your goals will require overcoming each obstacle, learning from it, and continuing to move forward along your path. “Our greatest weakness lies in giving up. The most certain way to succeed is always to try just one more time,” Thomas A. Edison famously said. Edison understood well the meaning of perseverance. Although receiving over 1000 United States patents, some of his most notable inventions took considerable dedication to achieve. Edison was ultimately successful in producing a bulb with a carbon filament that was the first commercially practical electric-powered light source. He then patented a system for electric power distribution to illuminate his newly developed bulbs and founded an electric utility in New York City that generated and delivered DC-current electricity to customers in lower Manhattan. However, the AC-current power distribution system championed by competitor Westinghouse ultimately proved more commercially viable because the power could travel greater distances from where it was generated. Nonetheless, Edison’s inventions in electrical lighting, generation, and distribution ushered in the industrialization of the Twentieth Century. Add to that, Edison and his team developed motion pictures, the fluoroscope, the stock ticker, and other inventions. He also had other business interests, such as mining, and rubber. 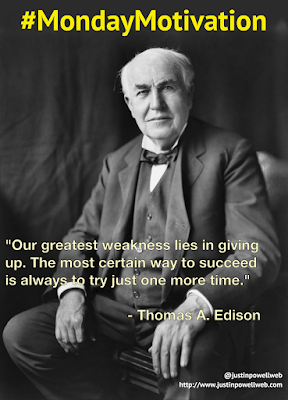 Thomas Edison’s perseverance resulted in innovations that, quite literally, changed the world. When a company matures in their domestic market, it becomes increasingly difficult to sustain continued growth. One way for a company to continue to grow is to enter new markets internationally. Entering a new market presents a company with both potential opportunities and potential risks. Carefully evaluating these opportunities and risks is necessary to determine whether the company should enter a specific market and, if so, what approach they should take in doing so. There are a series of things to consider then determining the potential opportunities related to entering a new market. First, the firm would likely consider the financial aspects of entering the market by determining per-capita Gross Domestic Product (GDP) of the market. They would also determine the number of potential customers that exist in the market by segmenting the overall population into demographic or functional groups that match those of the company’s customers. There may also be additional opportunities to market complimentary products in a foreign market that don’t exist in the company’s base county. The company might also consider whether any potential channel partners exist in the target market which could provide local expertise and logistics. Likewise, when assessing the risks the company must consider a number of factors. The company would first need to understand if there are any legal considerations that might impact their ability to conduct business in that market or prevent them doing so altogether. For example, European privacy laws are very different from that of the United States and Internet companies have to tailor their offerings to local standards in order to comply with these laws. Furthermore, the core stability of the local government and socio-economic makeup of the target market are also critical for a company to understand. A change in government or major social upheaval could risk the company’s entire venture in that market. The company should understand if there are any differences in local customs or customer needs that should be factored in. Determining if a product will need to be customized for the local market or if marketing will need to be altered both have a bearing on the decision whether or not to enter that market. Plus, any potential channel partners will need to be vetted in order to determine the extent and nature of their expertise and whether they have the capability to service local customers. One company that has been quite successful expanding internationally has been Dunkin Donuts. After some initial missteps early in their global expansion, Dunkin Donuts retrenched and adjusted their strategy. Two important components of their strategy have been to supplement their core menu offerings with items specific to each country and to staff overseas corporate teams with local professionals who have expertise in the market. For example, German outlets feature both plum and cherry/banana donuts that mirror local tastes, while U.K. shops feature Nutella-filled donuts. As a result of the success of this strategy, Dunkin currently has over 3,100 stores in 30 countries outside of the U.S. and continues to expand. By contrast, U.S.-based Target failed miserably in their attempt to expand into Canada. On the surface, one may think of these two markets as being very similar and an expansion north would be a layup for Target. Target even had in their favor a segment of Canadians who were familiar with the brand and its shopping experience because they had visited Target stores on trips to the United States. However, much of Target’s issues centered around the implementation of their expansion. They quickly opened over 100 stores, largely by assuming the leases of 220 Zellers stores – a chain that was on the decline. The resulting Canadian Target locations were substandard compared to their American counterparts. Not only had Target over-extended with its rapid expansion, but those customers who were already familiar with the shopping experience in the U.S. were disappointed with the local experience in Canada. To compound this issue, Target had moved too quickly with their expansion and did not have a mature supply chain in place that could support the number of stores they opened. The result was that popular products often went out of stock quickly. Furthermore, because of the shortcomings of the hastily implemented supply chain, many products were priced higher in Canada than they were in the United States. After significant financial losses, Target exited the Canadian market less than 2 years after launching there. A number of companies have chosen to operate solely within the country they are headquartered in. 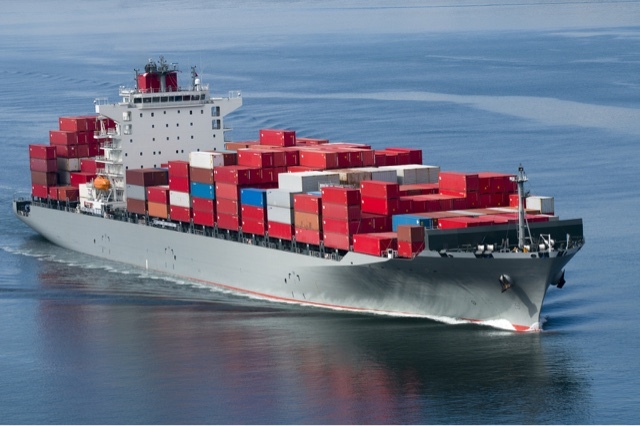 They have often reached this decision for any of a number of reasons, such as cost, risk, or complications related to infrastructure or distribution channels. Some of these companies may have never even considered international expansion. Companies who have determined that international expansion is an appropriate path forward need to carefully analyze each new market and developing a detailed strategy before launching there. There are plenty of examples of firms who have rushed into new international markets with an insufficient strategy and suffered catastrophic results.There are also a number of examples of firms who were well-prepared for international expansion and achieved great success. Whether expansion into international markets makes sense for your business is something your firm will need to determine. World markets can provide a much larger pool of customers and careful planning greatly increases the likelihood of success. In his 1962 book, Diffusion of Innovations, author and professor Everett Rogers looks at the product adoption lifecycle. He wrote that there were 5 categories of adopters for any new, innovative product and they each had their own motivations. These adopters would act at different rates and at different points in the product lifecycle. Innovators. Innovators are the first set of users for a new product. They are willing to take risks and often adopt leading-edge products in order to learn about the new innovations they bring. They tend to be more tolerant of functionality or design that is not fully formed. While Innovators don’t yield great influence over market adoption, they can be a useful segment for a company by providing feedback and new product uses. Early Adopters. Early Adopters are the next set of users on the product adoption curve. Although they seek a product that is a little more mature, they are still willing to learn about a new product and discuss their experiences with it. If they determine that the product is a good one, they will often evangelize on its behalf. For this reason, they usually have significant influence on whether a product succeeds in the broader market. Companies that actively market to Early Adopters and satisfactorily meet their needs can greatly increase the chances of their product succeeding in the broader market. Early Majority. Early majority adopters are more risk adverse and wish to know that others have had a good experience with a product before they will adopt it themselves. The experiences of Early Adopters can greatly influence the purchases of the Early Majority. They Early Majority tend to adopt products before the average user does and they represent the first portion of the broader market. Late Majority. Late majority adopters tend to embrace a new product after the average user and they are notably more skeptical of new innovations than the earlier three categories of adopters. However, they represent a sizable piece of the broader market and a company would generally be wise to market their product to this category in order to expand its adoption. Laggards. Laggards hold onto older products as long as they can reasonably do so and only adopt a new product when their existing one ceases to be viable. They are generally not the type of adopter that a marketer would focus on. Management consultant and author Geoffrey Moore looked at those times when the Early Adopters were unable to sufficiently influence the Early Majority in his 1991 book, Crossing the Chasm. He called this gap between the Early Adopters’ acceptance of a product and the skepticism of the Early Majority the ’chasm.’ Marketers would need to proactively address the concerns of the Early Majority in order to ‘cross the chasm’ to achieve mainstream success. Blackberry (the company previously known as Research in Motion) is an example of a former market leader that has declined dramatically due to its inability to ‘cross the chasm’ with its recent product launches. As an early innovator in the smartphone space, they were successful for years by concentrating on the corporate market and producing handsets featuring their characteristic physical keyboard which were focused on primarily on email access. However, Apple introduced the iPhone in 2007 which did away with the concept of a physical keyboard and introduced a 'slab' handset that used the entire face as a touchscreen display. The iPhone’s user interface leveraged touchscreen gestures and was ideal for consuming media. The iPhone was a hit with consumers and in its opening weekend of sales, the stores of then-exclusive carrier AT&T were “virtually sold out.” Seemingly overnight, the iPhone and similar Android handsets displaced those of Blackberry in the marketplace. Six years after the introduction of the iPhone, Blackberry came to market with its first modern touchscreen-only handset called the Z10. The Z10 featured a brand-new, yet immature Blackberry 10 OS that did not have the selection of apps or mature ecosystems of either Apple’s iOS or Google’s Android. 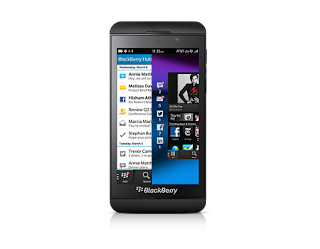 The Blackberry 10 OS was also not as user friendly or had as polished of a user experience of either iOS or Android. Despite these initial shortcomings, Blackberry chose to position the Z10 as a premium product and priced it the same as competing Apple and flagship Android handsets. The Z10 was a marketplace failure and sold a small fraction of the number of handsets that competing Apple and Android did. Innovators and some Early Adopters who had previously embraced the Blackberry ecosystem did purchase the Z10. However, the Z10 was unable to ‘cross the chasm’ and gain traction with Early Majority users. With the already broad adoption of the iPhone and Android platforms, the Early Majority category of adopters remained skeptical of the Z10 and its new OS. In its first full quarter of release, Blackberry only sold 2.5 million Blackberry 10 handsets, which included both the Z10 and the sister model Q10 which featured a physical keyboard like previous Blackberry phones. Shortly thereafter, Blackberry cut the price of the Z10 and later that year CEO Thorsten Heins was replaced by John Chen, who had formerly led the turnaround of Sybase. Had Blackberry been able to ‘cross the chasm’ with the Z10, their handset business may have been able to regain some of its former success. However, by 2014 Blackberry devices had a mere 0.3% market share in smartphone handsets. New CEO Chen ultimately decided to refocus the company by de-emphasizing handset sales and to instead focus on corporate software and mobile services. In a few years we’ll know if Chen was successful in transforming the company, but it seems certain that Blackberry handsets will be largely a relic of the earlier days of the Internet. The second quarter of 2016 represents LinkedIn's final earnings release as an independent publicly-traded corporation. The social media platform for professionals continued to show growth across the board. It will be interesting to see how LinkedIn gets absorbed and integrated into the Microsoft ecosystem once Microsoft's acquisition of the social platform closes. Other social media platforms also grew in the quarter. Facebook's Daily Active Users (DAU) grew 17% year-over-year and all other core metrics had positive growth. Facebook's Instagram platform now has 500 million Monthly Active Users (MAU) and 300 million DAU. Twitter's user base did not gain much, but showed incremental growth nonetheless. In 1960, Theodore Levitt wrote a seminal article for Harvard Business Review titled Marketing Myopia. In his article, Levitt suggested that many once rapidly-growing companies and industries eventually reach a point where they stop growing or their business starts receding. Many of the examples cited in his article focused on a core product that fueled their initial growth and when product growth plateaued, so did their overall business. One of Levitt's examples was the railroad industry whose growth peaked before the introduction of the automobile. Levitt posited that these industries and firms ultimately had their tremendous growth end since they were not ultimately focused on their customers' needs. They had a product orientation and focused heavily on selling the one core product that brought them initial success, such as railroad transportation. Instead, a customer orientation would have served them better since they would have focused on their customers' needs instead of marketing their core product in a changing industry. The railroad industry's customers needed transportation. While the automobile began providing a more flexible solution to transportation, the railroad industry was still focused on marketing their core product: railroad transportation. As customers began flocking to the automobile, the railroad industry saw their tremendous growth come to a halt. The extension of customer orientation is market orientation, where a company focuses not only on their customers' needs, but they also factor in things like competitive conditions, industry changes and economic conditions. Apple is a great example of a company who has had great success as a result of their strong market orientation. For example, in the early 2000’s the music industry was undergoing significant upheaval. CD sales were starting to decline and digital platforms like Napster that facilitated the sharing MP3 audio files of songs, largely illegally, were taking root. It was evident that consumers wanted the choice to consume individual songs instead of entire albums. Several portable MP3 music players entered the market, offering a way to listen to this new music format on-the-go. None of them reached mainstream success because they were often difficult to use and did not offered a refined experience. Apple was not the first company to enter the market with a portable digital music player. 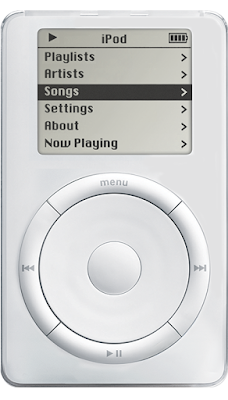 However, they leveraged their industrial design experience to develop an attractive and easy-to-use product called the iPod. 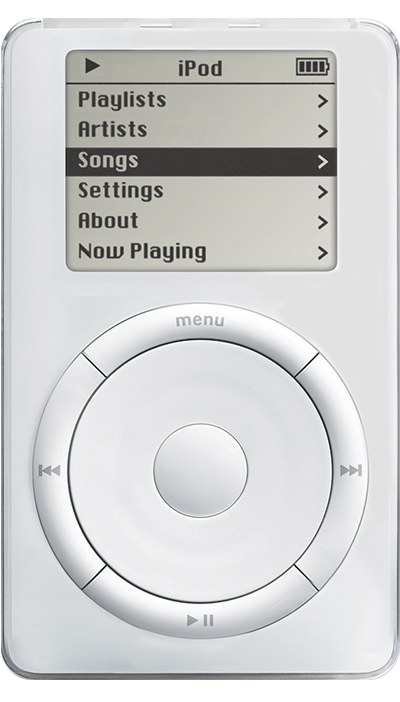 It was positioned as “1000 songs in your pocket.” Meanwhile, Apple also acquired the program Soundjam MP from Casady & Greene and relaunched it under the name iTunes. It allowed users to ‘rip’ CDs they already owned into MP3 files and load them onto the iPod. Apple was the first to market with an end-to-end, easy-to-use, and legal solution to portable digital music where users could pick just the songs they wanted to bring with them to listen to. Apple extended iTunes further and in 2003 provided a store where users could purchase and download individual song files. Apple did not rush to enter a new market. They were careful to understand what customers expressed as a want and what competitors were, in turn, providing. Music listeners wanted to be very selective in the individual songs they consumed while the established music industry was only providing a package of multiple songs on a CD. Apple provided consumers with a complete solution to consume the songs they wanted while on-the-go. Having a market orientation, by understanding their customers, their competitors and the industry as a whole, allowed them to bring a product to market that would achieve great success. Method Products is another example of a company that utilized market orientation to achieve success. As consumers, Method’s founders Eric Ryan and Adam Lowry were not motivated to clean their apartment using traditional, smelly, and harmful chemical cleaners. Recognizing their own need for an alternative, they developed a product designed to meet the needs of consumers like themselves. The result was a product that used non-toxic, biodegradable and nice-smelling ingredients. However, cleaning products as a category are commodities where it is difficult to differentiate a product - other than on price. Not only must the core product differentiate itself and appeal to consumers, but the packaging and marketing of the product also had to differentiate itself. While most of the competition had similar packaging and pricing, Method hired a noted designer to create a package that stood out on the store shelves. Their differentiated product and marketing was aligned with what certain customers wanted and they were able turn their cleaning supply startup into a very successful business. Depending on a firm’s industry, the product development cycle may take time and firms are forced to market ‘what they have’ if consumers’ needs change or market conditions are dramatically shifted. Nonetheless, even in these scenarios, companies should mix a product orientation with a market orientation so they can clear current inventory while also positioning themselves to meet customers’ needs going forward. As seen with both Apple and Method, a firm that takes a market-oriented approach to all aspects of its business not only develops products that customers really need, but its marketing is in alignment to present the product to customers in a way that's meaningful to them. While the classic phrase “the customer is always right” may be overly simplistic in today’s marketplace, taking a customer and market orientation is a critical step toward delivering products and marketing messages that resonate with customers. 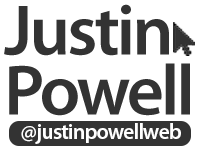 © 2015 @justinpowellweb. Ashleigh Template designed by Georgia Lou Studios All rights reserved.